We’ve had a ton of fresh Nexus Two news today, but now I think we can start officially by calling it by it’s real name — the Nexus S — as fresh evidence suggests that this phone is real, and will be designed by Samsung. Fresh off the press, we have discovered a fair few things about the new Nexus today. We have already posted some leaked premature information from Best Buy who were advertising the phone earlier on today, and now we have sieved through some websites to gather more information. 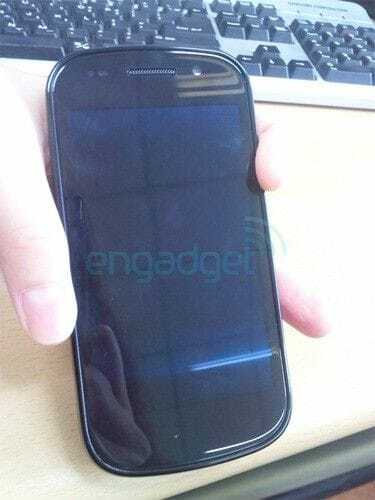 Engadget seem to be on top of the Nexus S game, and have posted an image of what looks like the Nexus S. Although the image was taken about a month ago, i’m almost quite sure that you are looking at what we have all been waiting for. But that is not it. Engadget have even gone as far as exploring photos on Flickr and Picasa that have been taken by the Nexus S, only to find out that some of the albums were taken with a device with the model number GT-i9020. Furthermore, it seems that all of these images are coming from Google employees and the families they are associated with. Interesting stuff ladies and gentlemen. So all we are waiting for is an official annoucement from Google or Samsung confirming the existence, but you know the drill — they will not comment on speculation and rumour.